2014 was a very special year for us, as we celebrated 30 years of Redwings. We are a young charity in comparison to many animal welfare organisations but we have achieved a great deal in just 30 years and so we felt it was only right to celebrate with a special cathedral service in Norwich, our hometown! It was also the year we became a truly national charity, as our trustees and myself worked to negotiate a merger with Mountains Animal Sanctuary in Forfar, Scotland, which was completed at the end of the year and officially sealed in January 2015. This means we are now responsible for over 2000 rescued horses and donkeys in sanctuary and out in guardian homes across England and Scotland, quite a responsibility! Thank you to you, our wonderful supporters, for helping us help more horses than ever before, we couldn’t do any of it without you! This website contains highlights from 2014’s Annual Review. If you would like more information about what we got up to that year, click here to download any section of the full Review as a PDF. Redwings has been working to rescue horses, ponies, donkeys and mules all across the UK for 30 years. We have dealt with all kinds of cases, from elderly veterans to abandoned foals, and from low level neglect to blatant cruelty. We’ve found horses tied to railings, locked away in barns, roaming housing estates, dumped on rubbish tips and even one tiny pony who was even being raffled off for 50p at a village fete. In 2014 we rescued horses from Essex, Norfolk, Warwickshire, Gloucestershire, Cambridgeshire, Hertfordshire, Yorkshire, Wales and Cumbria, attended events across the country and supported other charities in their valuable welfare work. In 2014 we gave advice 1,398 times via our helpline and responded to over 200 written and email enquiries and investigated 200 cases of concern. Although the actual number of calls dealt with has reduced year on year, the complexity of subject and time spent on each call has increased, showing that education messages that we have been sharing about reasons to call us have been working. In 2014 we took 280 horses and donkeys into our care, of which 97 had to remain in external boarding facilities following a large case where we pledged homes to 150 horses (including foals). This is the first time we have ever had use overflow facilities on a large scale like this and shows not only how stretched we are as an organisation but also how high demand has been in the world of equine welfare has been over the last few years, despite the increasing education work by all the horse charities to try and reduce neglect. 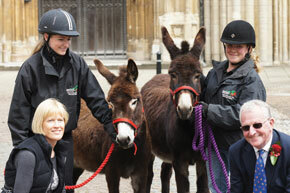 Rio and Zeus, a donkey and a pony rescued from a site in Norwich after they were found in a terrible state of neglect. 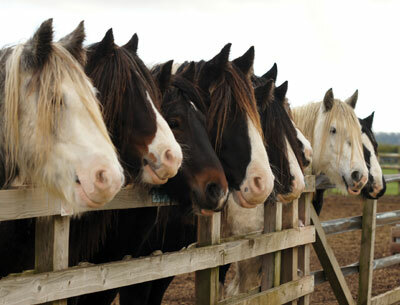 Justice for the Breakfast Club, a group of cobs rescued from Ireland in 2011. Elf, Sprite and Pixie, left in a ‘terrible state of suffering’ by their owners. 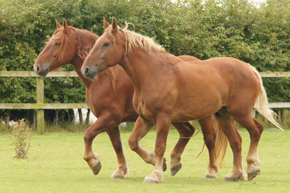 Redwings works with other charities such as the British Horse Society (BHS) to carry out Link project days where we offer clinics for horse owners who may not be reached through conventional messaging channels. We offer passports and microchips as well as vet checks for a reduced fee, and in 2014 we passported and microchipped 325 horses over the year. We also helped the BHS to carry out the first horse castration day in Norfolk, at which 18 horses were castrated with a view to preventing unnecessary breeding. It’s a sad reality of our work that many of the rescued horses and ponies that come in to us have suffered emotional trauma as well as physical. Some have simply never had any proper training so they are not sure how to behave around humans, but still more sadly end up very nervous or even fearful of people and need to be reassured that they are in safe hands with us. 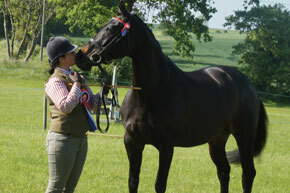 Every horse or donkey that arrives with us is assessed according to his or her behavioural as well as physical needs. They receive handling training if required as part of their rehabilitation, and then those who are really naturally friendly and comfortable around people may even go on to live at a visitor centre where they can have lots of interaction, while those who prefer a quieter life can live happily at one of our closed sites and enjoy routine daily care from our dedicated team. But sometimes we encounter very special cases for whom neither of these options are possible. Those horses who cannot be handled in the normal way go to live at our specialist Behaviour Centre. The staff there are trained in equitation science, which is a handling methodology based on a scientific understanding of how horses learn, and they use the most humane methods possible to work with these special case. Create your own PDF to read the full story of how we have been working with two very special individuals, Wilf and Stanley. We are so proud that our Behaviour Manager Sarah Hallsworth has won a scholarship to take part in a specialist behaviour qualification run by esteemed behaviourist Andrew McLean. Sarah was one of only a very few students to be selected and her training and advanced knowledge of all aspects of equitation science will really benefit our horses here at Redwings! Our rehoming scheme has been running since 2005, so next year we will be celebrating ten years of finding loving homes for our rescued horses and ponies. In 2014 we completed a full review of our rehoming processes and that meant we could not bring as many horses through the scheme as we normally would. However we still found new homes for 57 of our residents and we currently have 453 out in homes in total. 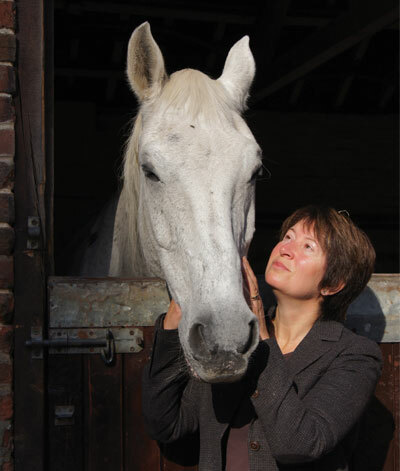 As part of the review we are also revising our training processes and at the end of 2014 we embarked on a training programme for our staff with Lisa Ashton, a practitioner of equitation science who bases her methods on the science of how horses learn. A record number of competitors came along to the Redwings Show at Topthorn in Suffolk in 2014, where we had over 50 classes including qualifiers for Equifest, TARRA and the Donkey Breed Society. Guinevere, a stunning mare originally rescued from North Wales. She has now been rehabilitated and has found a happy Guardian home, and this year she was chosen to be a Joules model for their spring/summer collection. Noel who has been in the same guardian home since 2003 and this year went Supreme Champion at the Kimpton Horse Show at 19 years old! Redwings celebrates its 30th anniversary this year. From small beginnings we now have ten sites and 1,400 rescued horses and ponies in our day-to-day care. And in 2014 we concluded a merger with Mountains Animal Sanctuary in Forfar, Angus, Scotland, adding another 100 rescued horses to our number (effective January 2015) and giving us more scope to help even more horses, this time north of the border! Different types of rescues bring different problems, for example a high increase in rescuing coloured cobs has seen a rise in the problem of mites as they love to live in cob feathers (the long hair on their lower legs)! And rescuing someone tiny like little Beau and her baby son Tucker brings different issues, such as not having fencing low enough to contain him! Teeny Tucker who was the smallest foal we’ve ever had when he arrived less than 17 inches high! Handsome Henry the cob who had a tough year after he was diagnosed with a highly unusual tumour in his hoof. Amazing Faith who was found collapsed in Essex and had to be nursed back to health by our fantastic veterinary and care teams. In 2014 we held two farrier training days at our sites and a dentistry day too – our horses benefit from extra pampering and we can help other professionals like farriers and dentists complete their training, so everyone wins! In 2014 we worked hard on reaching audiences that might not be so readily ‘educated’ either for literacy or mobility reasons, or perhaps because they may not understand that they need it. If there’s one thing we have learned in all our years of working with horses, it’s that you never stop learning. We have therefore introduced evening seminars that are free for horse owners to attend, and increased our outreach work at link days and events such as Appleby Horse Fair, Wickham Fair and Seamer Fair. We also held talks for 34 groups of school children, Brownies and other community groups. We are working on new and improved resources too so that whatever the question, whatever the gap in knowledge, hopefully we can help and make life better for that horse or pony and their owner, but without making anyone feel silly or inadequate. After all, we still have questions too! Find out more about our education work by downloading a PDF here. In 2014 we are really proud to say that we were voted the Favourite Horse or Donkey Charity by readers of Your Horse magazine, who also designated our Head of Veterinary and Care Nicky Jarvis as the Ultimate Your Horse Expert, well done Nicky! At the start of the year we were also incredibly proud to win an award for our Social Media work – we were selected as the Judges’ Choice for the Best Use of Social Media in the UK and Ireland at the Equestrian Social Media Awards, what a moment! We run five lottery prize draws and a free to enter hamper draw at each of our visitor centres each year. In 2014 we were honoured to receive gifts in return from several of our winners. Emma Howe-Andrews and Mrs L Wood were two of those who both chose to let their good fortune benefit horses in need. Mrs Howe-Andrews won the hamper draw at Redwings Caldecott and chose to donate the whole hamper, full of gifts and goodies worth more than £200, back to Redwings. 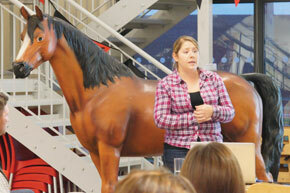 Mrs Wood won first prize of £5,000 in our Winter Draw and gifted £200 to Redwings after receiving her winnings. We are so touched by the generosity of our supporters – you just keep on giving! It means so much and is so humbling to us all, thank you for your inspiration and kindness! 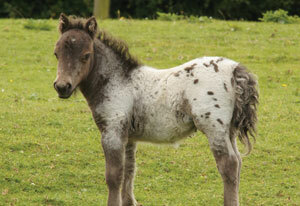 While some charities rely on big donations, at Redwings we depend on the little ones. It is always a pleasant surprise therefore when a big gift comes along. In 2014 we had two significant gifts, one to fund the purchase of a new endoscope (a precious piece of veterinary equipment used to check a horse for signs of the life-threatening disease strangles), and one to fund a new paddock at Redwings Aylsham which is now home to our little herd of Adoption Shetlands, The Gangsters. Fundraising fact: In 2014 we saw a 28% increase in the number of larger donations of £200 or more. Thank you to those who can and do! To celebrate our 30th anniversary we held a special Thanksgiving service at Norwich cathedral in May 2014. We invited over 150 long-term supporters and friends of the Sanctuary to come along and help us give our thanks for all their support over the last 30 years and all the horses who have come through our gates. And what an amazing space to do it in! Star of the show was adoption donkey Esther who appeared outside the Cathedral just before the service and caused quite a commotion as everyone fought for a cuddle! 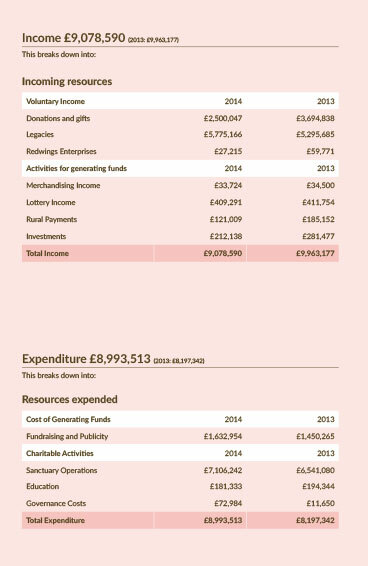 Our income and expenditure in 2014.